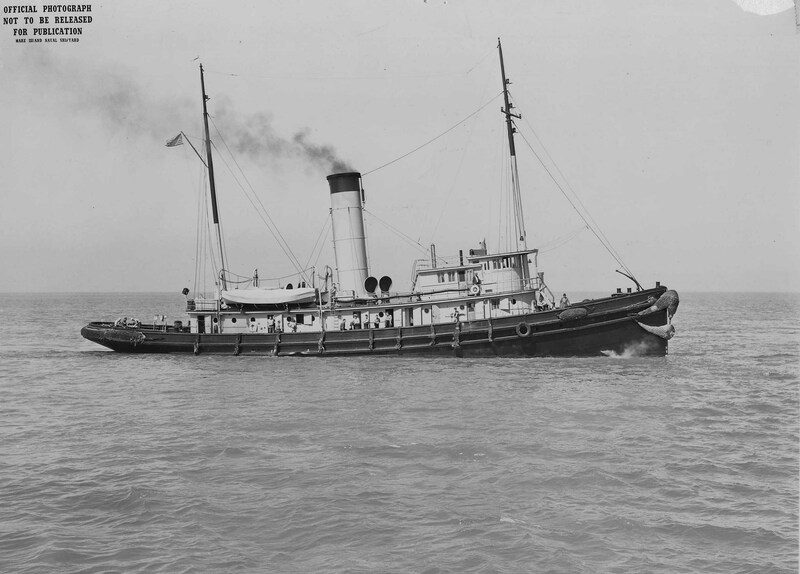 Transferred to the Maritime Commission, 8 August 1947 for sale to Crowley Tug ^ Launch Co. San Francisco, CA. 300k Broadside view of USS Cahokia (YT-135) off Mare Island, circa 1940. 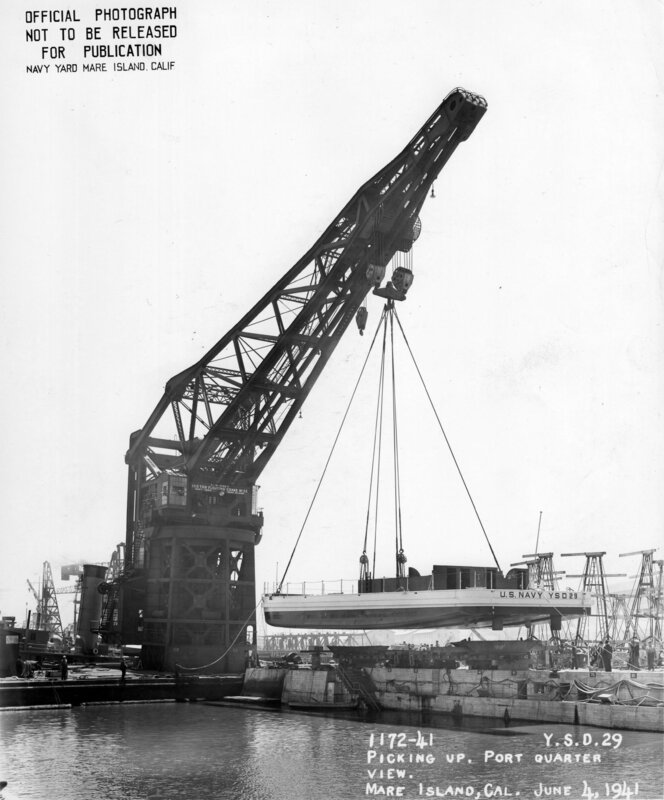 377k Launching of YSD 29 by YD 33 at Mare Island Navy Yard, 4 June 1941. The tug Cahokia (YTB-135) is in the background alongside YD 33. 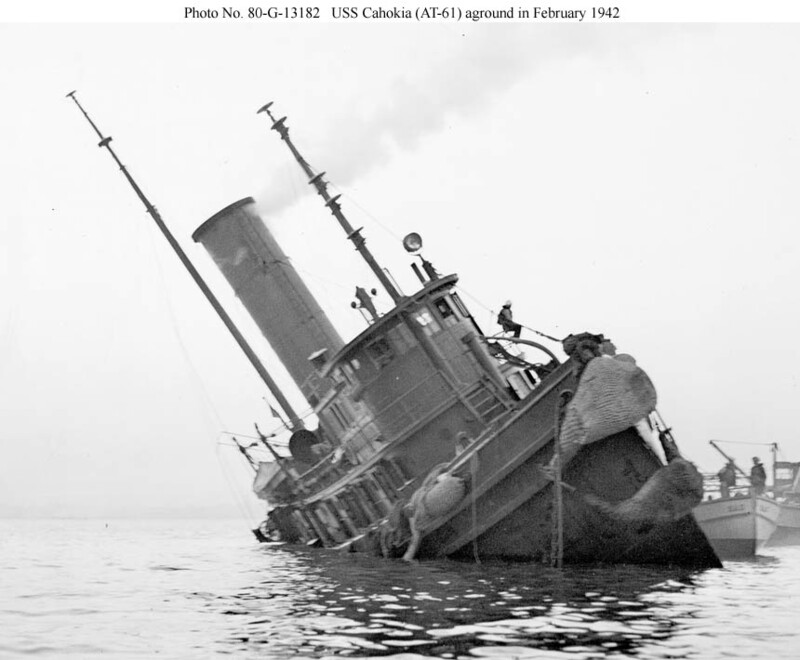 92k USS Cahokia (YT-135) aground inside the lagoon at Naval Air Station, Alameda, CA.., in February 1942. 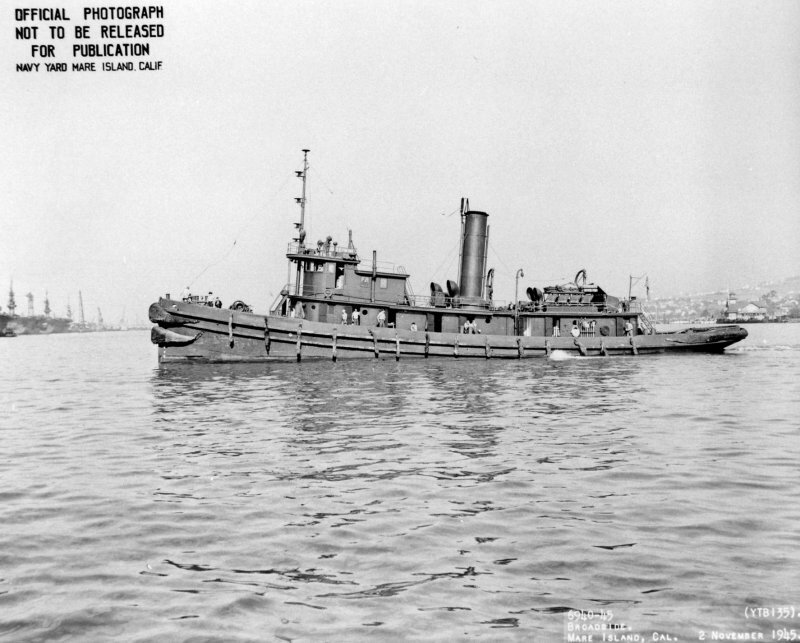 The Commander, 12th Naval District, reported the grounding to Washington on 21 February 1942 and reported on 2 June 1942 that she was to be raised approximately 4 June 1942 and delivered to the Hunters Point Naval Shipyard for an overhaul estimated to last about six weeks. 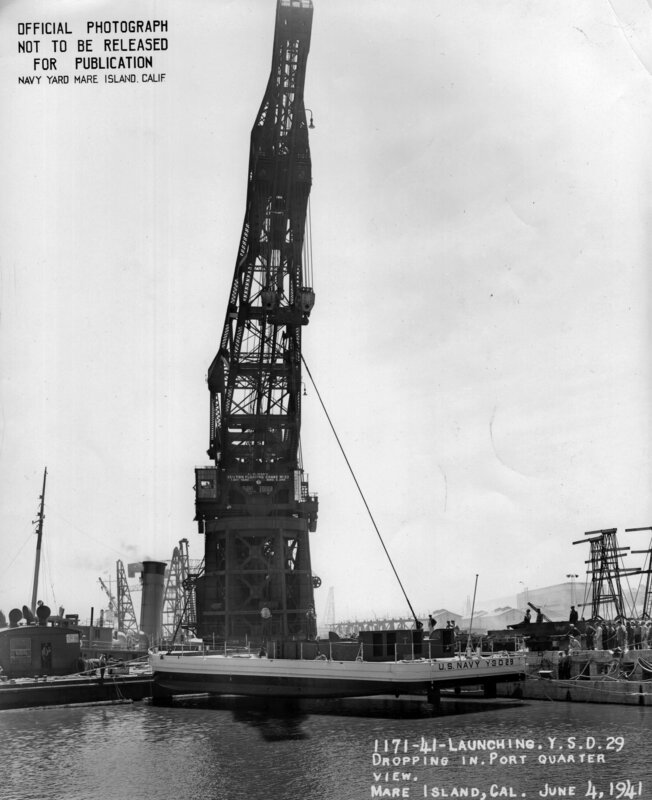 96k Broadside view of Cahokia (YTB-135) at Mare Island, 2 November 1945.